An exemplary piece showcasing the artistic excellence of Vincent Van Gogh. 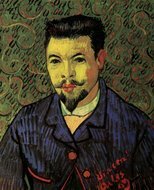 This is the third out of a series of three portraits that Van Gogh made of Julien Tanguy, an art supplies dealer in Paris. 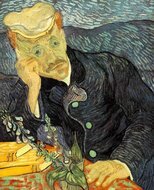 Vincent Van Gogh was a revolutionary artist. 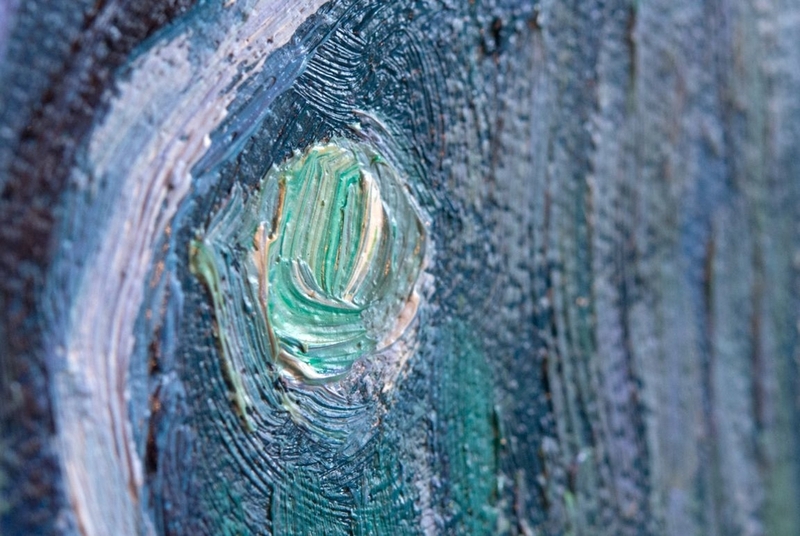 His paintings are critically acclaimed all over the world and many of them are in the top 50 most expensive paintings ever sold. 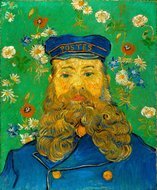 By closely studying Van Gogh’s painting techniques, his brush strokes, and colour patterns, our artists from Holland and the rst of the world are able to accurately recreate the works of Holland’s most iconic painter. 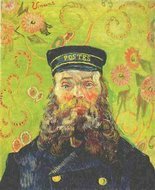 Julien Tanguy was a well known personality amongst the artist community in Paris. A paint grinder by profession, Monsieur Tanguy was extremely warm, welcoming, and was an avid art enthusiast. Pere Tanguy was considered to be a father figure by most artists as he had one of the most famous art supplies shops in Paris. This led to them giving him the nickname ‘Père’, which means ‘father’ in French. 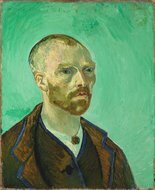 Over the course of his stay with his brother Theo in Paris, Van Gogh painted three portraits of Père Tanguy. The first one was a simple composition with sombre colours. The next two were more detailed and bore marks of influence from Japanese block printing and Impressionist art. 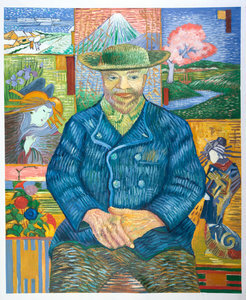 The second one mainly showcased Van Gogh’s interest in Japanese woodblock painting, while the third was the most complex and drew inspiration from the Impressionists also. This is the third painting in the series of Tanguy paintings and looks completely different from the first one. The wall behind Monsieur Tanguy is covered with Van Gogh’s Japanese prints which were sold in Tanguy’s shop.